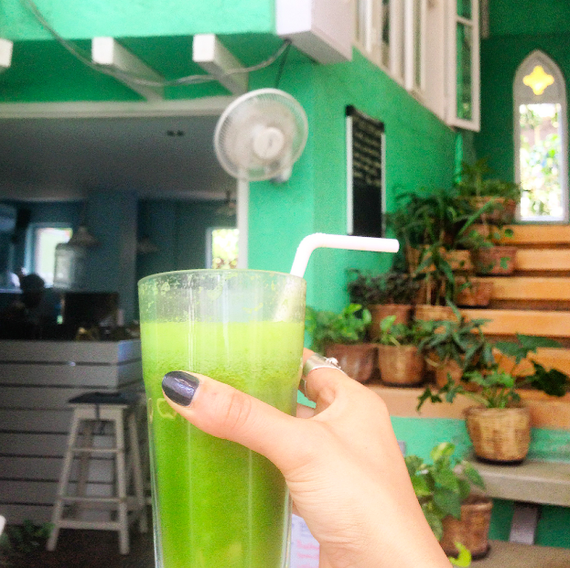 I remember just how excited I was when I first discovered Yoga House in Mumbai a couple of years ago. 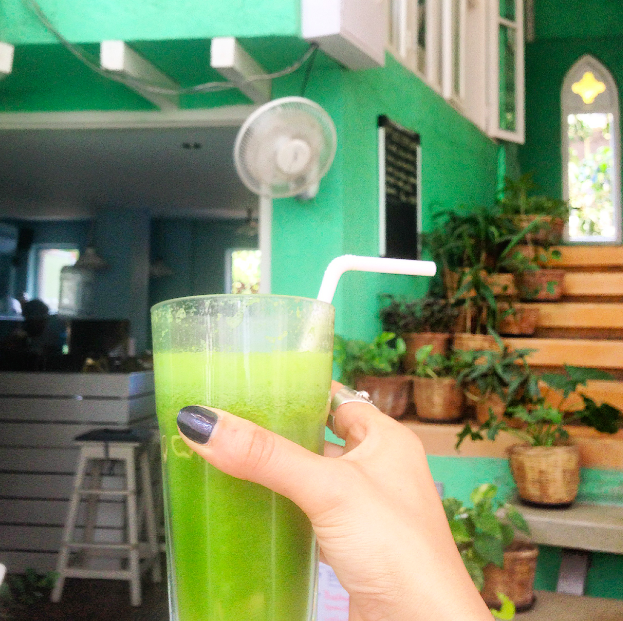 Each time I've visited the city since then, I have spent hours in this space, starting off with a yoga class and then whiling away time writing in the café whilst indulging in wholesome healthy food, saffron tea and refreshing juices. I was finally at Yoga House again just a few days ago, soaking in the warmth and breeze, the brilliant green walls infused with sunshine and pots of plants walking up the stairs. The green juice, a mix of pineapple, ginger, spinach and basil, quenched my post-yoga thirst after which my sister and I savored the one dish I'd been craving over the past year - tofu and brown rice, with a sprinkle of red and yellow peppers. A simple dish that had become a firm favorite during my last trip to Mumbai. It was as good as I remembered it. 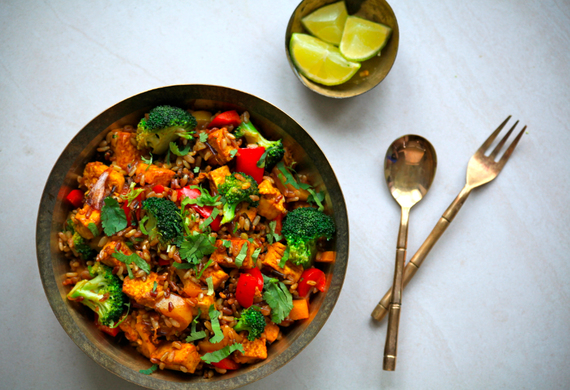 And as I chewed my way through it, I realized that having this dish in the uplifting al fresco homely environment of Yoga House in Bandra after an energetic yoga class played as much of a part in the experience of eating this dish as did the flavors. 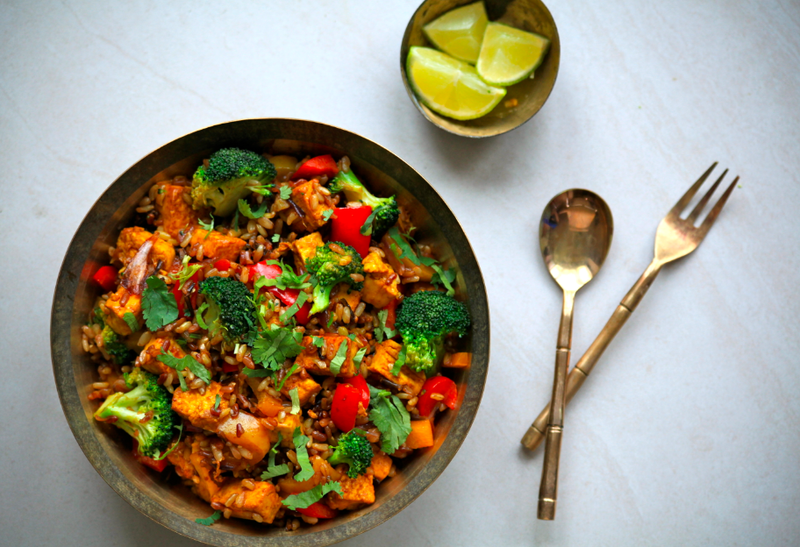 Now back in London, I've recreated this dish, using wild rice instead of brown rice and adding broccoli as well as a pinch of turmeric to the tofu. It's deliciously comforting, nutritious and filling - and a squeeze of lime gives that finishing zest. Soaking the rice in water for an hour will reduce the cooking time for the rice.